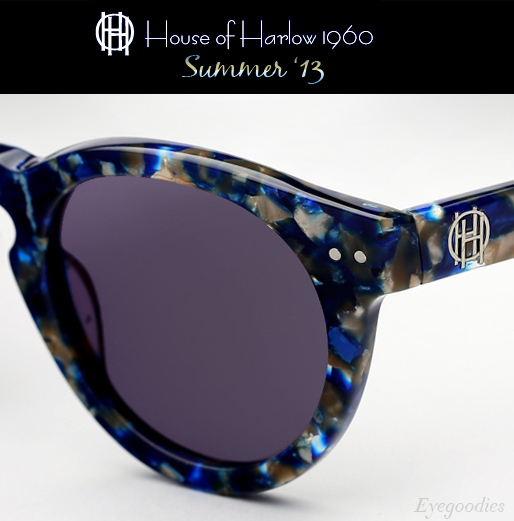 House of Harlow sunglasses new summer 2013 arrivals are just in. For this warmer season House of Harlow delivers a variety of chic and adventurous designs. However the real highlight for us is the plethora of beautiful signature colors — colors such as ‘Sapphire’, ‘Storm’, ‘English Tea’, and ‘Praline’, just to name a few. 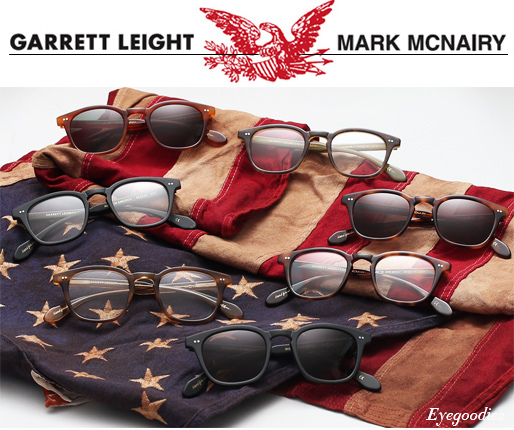 Garrett Leight California Optical joins forces with esteemed American designer Mark McNairy for a limited edition capsule collection for summer 2013: “MADE IN AMERICA”. The frame, simply entitled ‘Number 3′, incorporates the best of two worlds — American craftsmanship and premium Japanese acetate. 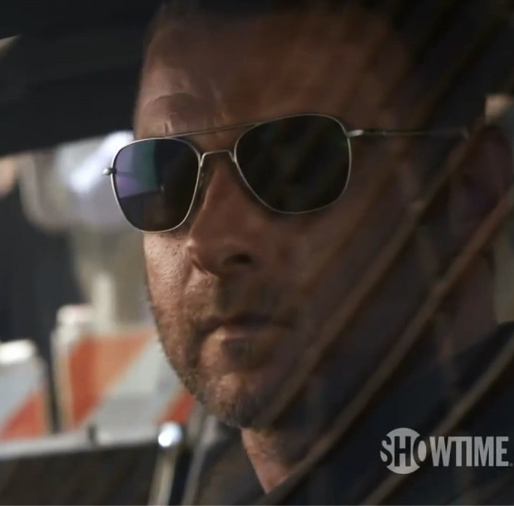 Available both as a sunglass and an optical frame, the Number 3 is a timeless design which works extremely well on most faces. Handmade in the U.S.A from the finest Japanese acetate, it features a classic key-hole bridge and real riveted hinges for strength and durability. The frame also comes complete with a special edition box to commemorate the collaboration. 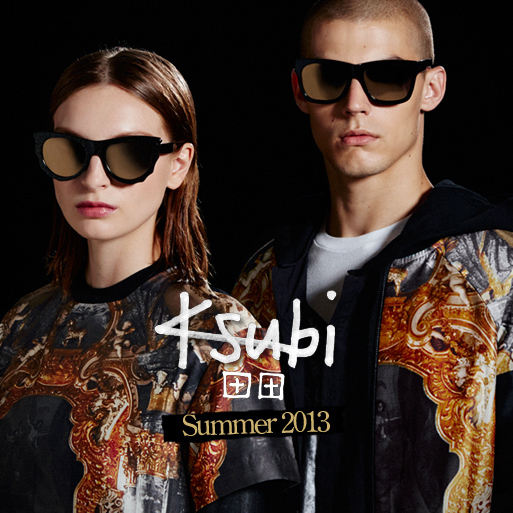 Ksubi Eyewear’s Summer 2013 collection is now available. Australian based, Ksubi has long been one of our favorite labels here at Eyegoodies. They never fail to demonstrate their ability to depart from conformity and create collections which are concise and always original— as in the case with their latest summer 2013 offering. The range takes its cues from their ready-to-wear collection which highlights “religion, royalty, and old world luxury”. However in true Ksubi fashion this is translated with a fresh fashion forward pulse. The collection includes a diverse assortment of one of a kind styles, such as the appropriately named ‘BATCAT’, a twist on a cat-eye design where the ends are shaped like a bat’s wings. Or the ‘Lacerta’, a variation of the same shape which features translucent cut-outs. Fan favorites such as the ‘CISCO’ and ‘ARA’ sunglasses return, but this time are set off with high shine gold metal or gold mirrored lenses.